It is the last training of the term this weekend, so the only thing left to do is wish you all a great summer holiday! We hope you survive your weekends without rugby and touch, and we look forward to seeing you all again at the start of Term 3, which is the weekend of Saturday 25th and Sunday 26th August. The U7 and the U14 are at Centaurs on Saturday morning for friendly games. There is no training for the U13 on Saturday, however if any of the boys do want to have a run this weekend please let us know and we will organise for them to join another team. Touch on Sunday will be at Sentosa! There is no training at Dempsey on Sunday morning for the girls. ARE YOU HEADING OFF TO PASTURES NEW? As we come to the end of the school year for a number of international schools, we have to say farewell and good luck to many families who are leaving Singapore, and kids heading off to boarding school. Please don’t forget to drop a note to info@sccrugybacademy.com if you are leaving, so we can update TeamSnap and the team registration lists. We will be having another collection of quality used items to send to the Cararoo Foundation in Manila. This charity helps disadvantaged children by supporting them through their education and after school activities. A colllection will be held on Saturday 30th June up at the club house at Dempsey. Please make sure they are clean (especially shoes and boots), and of good quality – things your own child would be happy to have second hand! To coincide with the Cararoo collection, we will be holding a boot swap on Saturday 30th June. If you have any boots at home that no longer fit, just bring them in and swap them for a pair that do! Any boots that are leftover will be sent to the Cararoo Foundation. PLEASE COULD YOU TIE THE LACES OF YOUR BOOTS TOGETHER TO MAKE IT EASIER FOR THEM TO REMAIN A PAIR! The SCC are organising a SCC Fun Day on Saturday 30th June at the Padang. They would also like to invite everyone at The Rugby Academy to join them at SCC for a day of fun. Free Entry for all Members. Each Member can invite 1 guest for complimentary entry. 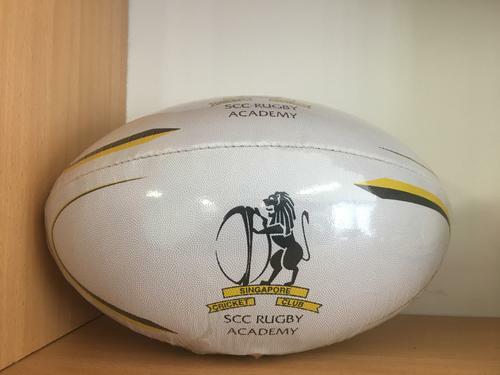 The SCC Summer Sports Camps have now started and will run throughout the summer, and the SCC are now offering all SCC Rugby Academy members a 10% discount.